She's lived through many tragic incidents like losing her mother, then shortly after her father as well as a child. Not only scientific but political circles and even tabloids are highly interested in her since she is considered a genius in archeology and an athlete who could attend to Olympics with ease. It's hard to decide if more people admire or revile her and that makes Lara one of the most charming and enigmatic character today. She was born in Parkside Hospital, Surrey to Lady Amelia Croft and the well-known archeologist, Lord Richard Croft. Starting at the age of three she attended to Abbingdon Girls School until she was five. That was the time they discovered that she was highly gifted. She survived a plane crash in the Himalayas at the age of nine. Unfortunately her mother deceased in the horrific accident. As a first step in her special life story she somehow stayed alive after spending ten days alone in the mountains which is well-known for its harshness. When she finally arrived in Nepal's capital city Katmandu, she went in a bar and politely asked her father on the phone if he could come pick her up at his earliest convenience. In the next six years from that point Lara rarely leaves her father alone and they travel around the world together visiting one digging site after another. In the meantime she was educated by private tutors but she was Lord Croft's full-time student in fact. When Lara was fifteen her father disappeared without a trace in Thailand. Authorities and Lara herself went in a desperate search after him but found only unidentifiable human remains. Since Lord Croft's body was never found Lara couldn't inherit Croft's title and she found herself in a family quirrel with her uncle, Lord Errol Croft who intended to put his hand on the properties in Abbingdon. Finally, Lara came out as the rightful heir but her relatives became distant, leaving her on her own. Lady Lara Croft got well above his father's fame in scientific circles. She discovered fifteen significant spots around the globe where important archeological diggings were started later on. These sites provide introspections into the past even today. No one can doubt her contribution in archeology however she doesn't lack detractors either. Lara's methods are often discussed among officials and other practicing archeologists. Some of them tipify her as a noble woman while others call her slightly mad. Scientists pointed out that her negligence in documentation and using brute force corrupted the sites very often and caused more harm than profit. She was even accused with stealing items from those locations before informing the international community but these gossips were never confirmed. Some even said that she is just an overly-exalted tomb raider. Even with tabloids sniffing around her Lara Croft decided on building high walls around her private life. She never gave any interview nor commented any rumors spreading around about her. Her family lawyers at Hadrgraves & Moore do usually the work by publishing short official statements. 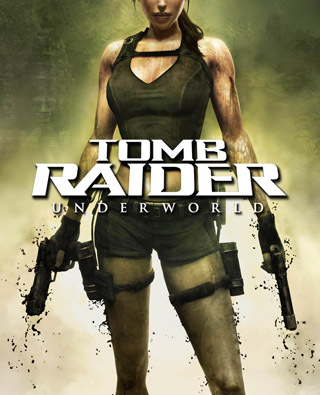 Nevertheless, if anyone is willing to look for 'unexplainable', 'enigmatic' or 'perfectly incredible' on the web they will bump into Lara Croft's name many times. She is admired by not only the authors of conspiracy theories but believers of constantly changing history as well. It seems like the lower we dig in Lady Croft's life the wilder and more mysterious results we get. Probably, like the historical spots she discovered we can only research the surface of her personality, too - while the complex and unsearchable secrets stay hidden in her forever. Queen of Atlantis and ally of Amanda Evert. She puts her influence on Lara to get Thor's hammer but in fact she is the epitome of evil. She hates Lara with passion since their incident in Atlantis and is always working to harm her. Her goal is to destroy the world by inducing the Seventh Age, Ragnarök. Now she is Natla's right hand and wants to destroy our protagonist - however something makes her wanting to help Lara. Highly inscrutable and indecisive person. It has the perfectly mirrored appearance and physical capabilities of Lara but has its own mind inside. It can copy its enemies movements with ease. Since it doesn't have conscience, reason, and any kind of soul, the doppelganger is at once both very dangerous and also quite vulnerable. The tech professional in Lara's team and works to help Lara with technical and logistical support in her every quest - he is the guy in the van or in the server room in Lara's Mansion. He was on the top of his carreer but some years spent in prison made him to retreat a bit and he is highly against any institutionalized stuff. Once a hacker, now works with Lara for the challenge and the chills. Lara's research assistant and a repository for a fantastic array of detailed historical information. He confines his researches to libraries and museums, however, concentrating on understanding and explaining what has already been found, as opposed to Lara's search for new artifacts. Winston's family serves the Crofts for generations now and he is the butler of the family since his discharge from the army after several medals, like his father before. He moved into Croft Manor and remained the only resident servant after his wife's death which occured before Lara was born. He is responsible for Lara's basic needs and even outperforms if we consider Lara's extreme lifestyle, never letting her down.